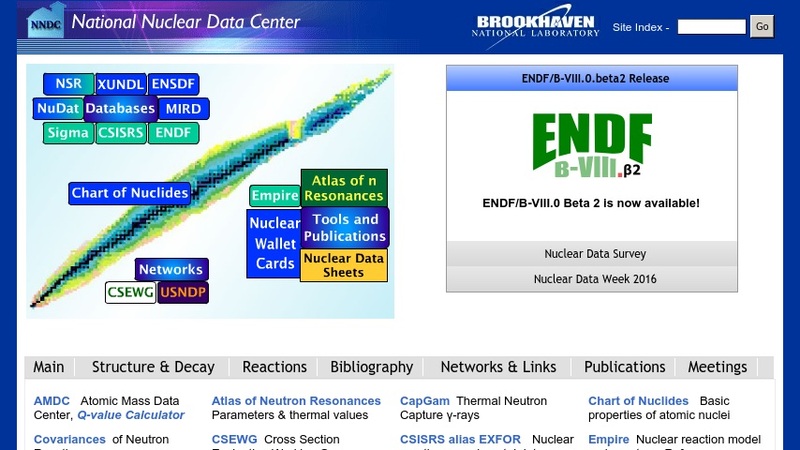 The National Nuclear Data Center (NNDC) at Brookhaven National Laboratory "collects, evaluates, and disseminates nuclear physics data for basic nuclear research and for applied nuclear technologies." Researchers can find eight databases containing information on nuclear structure, decay, and reaction, and also references. The website also offers numerous nuclear structure, decay, and reaction tools. Users can find links to both United States and international nuclear data centers. Students and educators can find printable cards describing the ground and isomeric states of nuclides.